Reading the Chicken Patrol, by Susan Keefe, (http://susan-keefe.com/) I was reminded of the great Thomas the Tank Engine books, by Reverend Wilbert Awdry. The Chicken Patrol brings us back that wonderful European story telling style where there are no superheroes or super-villains. There are no wizards, no spaceships and no aliens: just a farm dog, named Toby, trying his best to solve his problems. And that is a good thing. Children need to read books with real, possible stories that will help them relate to the tangible problems of life. 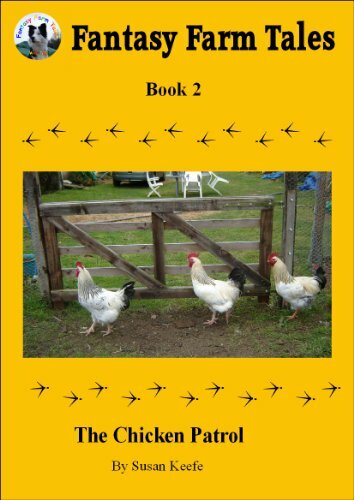 We need to provide them with tools to cope with the day to day life, and the Chicken Patrol just does that, without delivering an all too obvious moral at the end of the book. Our kids do not want morals; they want to read a story where they can learn without being told they are learning. Another great thing about the Chicken Patrol, is that, in that great European tradition, the author is not afraid to mention dead. It seems these days that we in America are afraid to have a character die in a children´s story. Susan is not afraid to mention the possibility, teaching that for every action that you do in your life, there are real consequences and that some of them are not pleasant. People die every day because of the actions they choose to do or not to do. So if you want to read a very human story featuring farm animals, do not wait: pick up your copy today. This entry was posted in Children books on January 6, 2013 by Jose Luis Cortes.